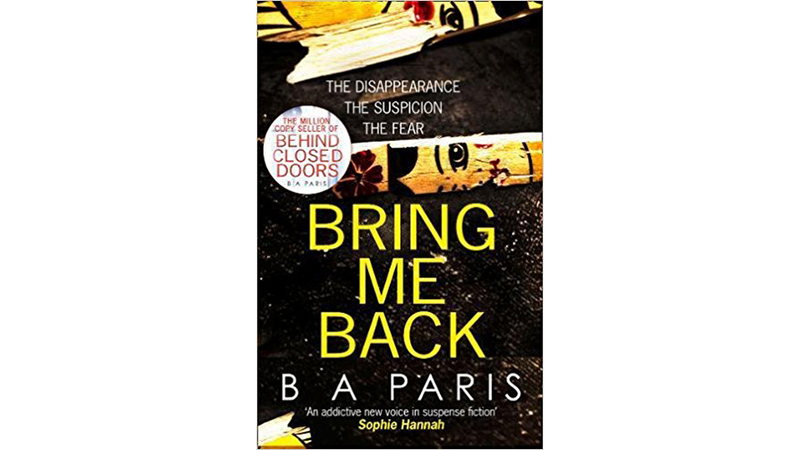 Bring Me Back by BA Paris, author of best-selling Behind Closed Doors, is a domestic thriller noir to rival Gone Girl! After a wonderful ski-ing holiday, Finn MCQuaid and his girlfriend Layla were returning home through France when they pulled up in a remote area for a comfort break. Layla stayed in the car while Finn went off to the toilet blocks. By the time he returned, Layla had disappeared, leaving behind her handbag and luggage. On the ground beside the car was the smallest doll from a wooden nest of Russian dolls lying on the ground. Layla always carried it as a talisman. Had she dropped it in a scuffle? Suspicion fell on Finn, but with no motive, no time to commit a murder and hide the evidence, and crucially, no body, the French police had to let him go. 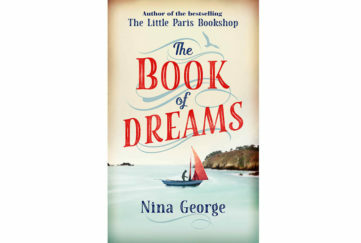 Now, 12 years later, Finn has rebuilt his life, working in finance with his former colleague Harry, but living in the country with his new fiancée, Ellen. Life is looking good once more. Then out of the blue comes a phone call. Finn’s former neighbour is sure he has seen Layla at their house (which Finn never sold). Has Layla come back? If so, where has she been, and why isn’t she showing herself openly. Then disturbing things begin to happen. Little Russian dolls appea,r upsetting Ellen, who is aware of their significance. For in the first big twist in the story it’s revealed that she is Layla’s sister, whom Finn met at a memorial service for his missing girlfriend. Then Finn begins to get emails from Layla. She wants to meet him, but never turns up. Finn recalls that Layla was never the easiest of girlfriends. 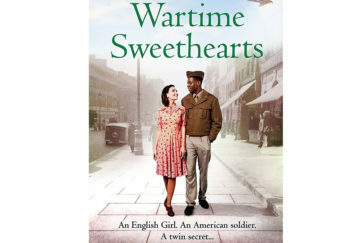 Brought up by an irascible Scotsman on a remote island, she was always unwilling for Finn to meet her father or sister. As Finn relives events of the past, the plot twist again. We learn that he has a temper and that he and Layla had been fighting before she disappeared. Does Finn know that this can’t be the real Layla? Or is he more worried that she is; and that she will reveal unpleasant truths that could destroy his relationship with Ellen. In that case, Finn may have to silence her for good. 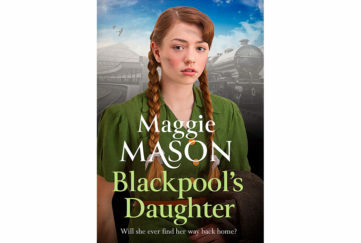 With rounded characters, a twisty plot and a racy pace, this story has all the best ingredients for a cracking thriller noir. Intriguing hero Finn might make you fall a little in love with him … but can you really trust him? Ellen elicits sympathy – but is she just a bit too much of a plaster saint? And what about Layla, who lends her own voice to the narration. Can she be wholly believed? 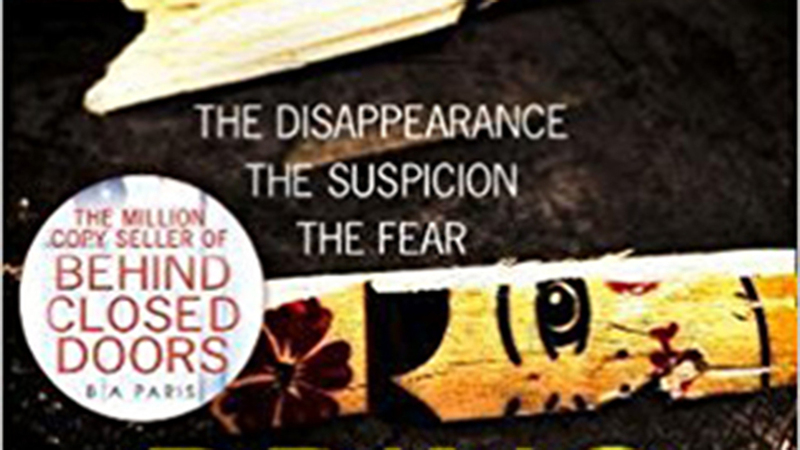 In the best tradition of recent thrillers, you just know that at least one person isn’t telling the truth – but you don’t know which one right to the end of this gripping tale!